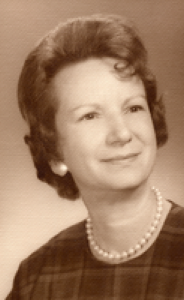 Irene Margaret Jarfas, 94, Dorothy Love Retirement Community, 3003 W. Cisco Road, Sidney, Ohio died at Dorothy Love on Monday, May 22, 2006 at 9:35 AM. She was born February 17, 1912 in Detroit, Michigan the daughter of Eugene and Margaret (Pungor) Jarfas. She moved to Sidney in 1937 from Mt. Clemens, Michigan. Surviving is one sister, Isabelle Jarfas of Laguna Hills, California and several nieces and nephews. One brother, Edward Jarfas is deceased. She was a graduate of Mt. Clemens High School in Mt. Clemens, Michigan. She was in the Women of the Moose in Sidney, Federated Women&#39;s Club, Wilson Hospital Auxiliary, and a charter member of the Altrusa Club and past president. She was a member of the Shelby County YMCA and the YWCA in Piqua and also a member of the Sidney-Shelby County Senior Citizens. She retired from the Copeland Corporation as the treasurer and credit manager after forty-two years with the company. Miss Jarfas joined the corporation in Mt. Clemens, Michigan in January of 1930 when it was Copeland Prodcuts, Inc. She moved with Copeland to its present headquarters in Sidney, in 1937. During her years with Copeland she has held some of its most responsible positions. In 1943 she became assistant treasurer, then secretary of the corporation, assistant treasurer, and credit manager in 1944, secretary and treasurer in 1964, and treasurer in 1970. She retired with one of the longest continuous service records of any Copeland employee. She is listed in the Seventh Edition of Who&#39;s Who among American Women. As per her request, the body was cremated and there are no services. Memorial contributions may be made to the charity of one&#39;s choice.